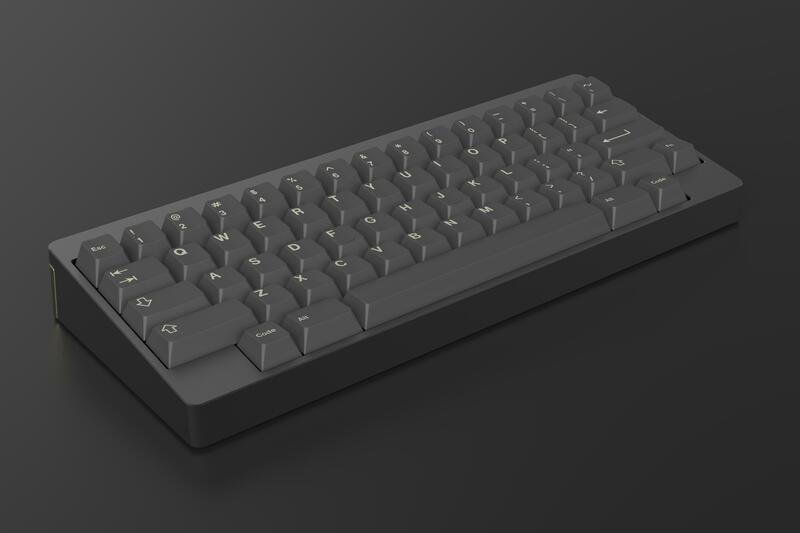 With Linjär in progress and soon concluding, I want to move on to my next project - a N9-U9 GMK set! This is heavily inspired by Carbon Boneyard, and I have made sure T0mb3ry was OK with it. This looks very classy, and honestly, the renders you currently have aren’t that bad at all. 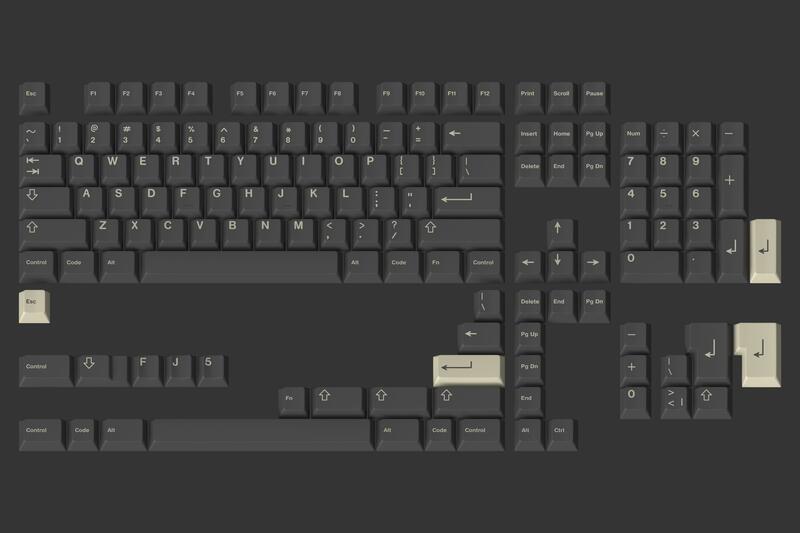 Get a site to host the GB and this could be a good little set! How about GMK Nines for the title? Although, N9U9 on it’s own conjures memory of M4A1 from Gorillaz’ debut, and just rolls off the tongue pretty well. I have also requested quotes, should have a reply soon! no disrespect intended, but i’m wondering this set exists. 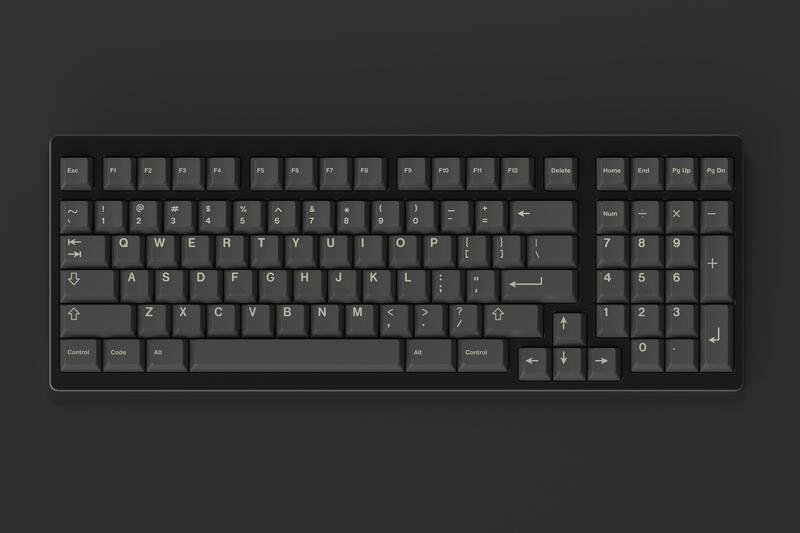 it looks very much like the gmk white on black set that is currently on massdrop. Yes, it’s very similar in simplicity, and that is part of what I am trying to achieve. WoB is a classy and timeless set, and this is a more modern take on the elegant and sophisticated design. WoB goes on everything, and I hope this does as well. I really like this colorway! It reminds me of the caps that come with black Cherry MY 8000 boards. I believe those are laser etched POM so not the greatest legends, but the beigeish color the laser etching creates gives the legends a great look on the black caps IMO. I actually bought one for the caps because I liked the look so much, but the bottom row is unfortunately not usable. 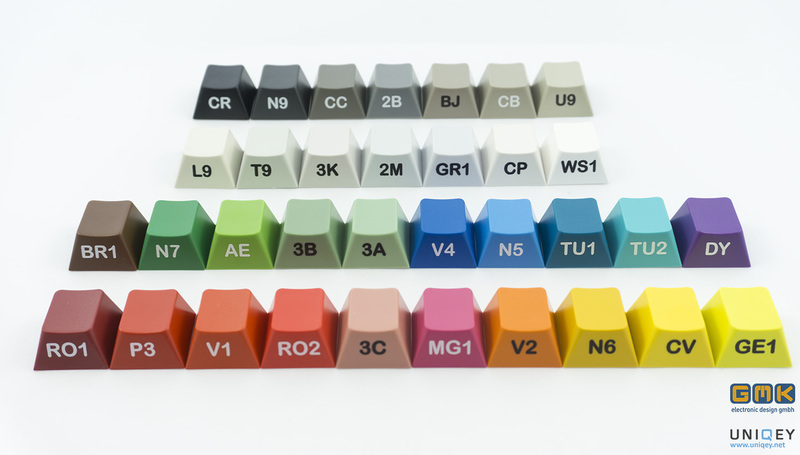 All the caps on that row have off center stems, even the 1.25 keys! Wish I would’ve known that beforehand, but the board only only cost me $18 so I would’ve probably got it anyways. Back to this set though, I would definitely be down for it if it goes to GB. I think the N9/U9 combo separate it from WoB more than enough to justify it. Personally I prefer this combo to WoB, I think it makes really classy & understated look. 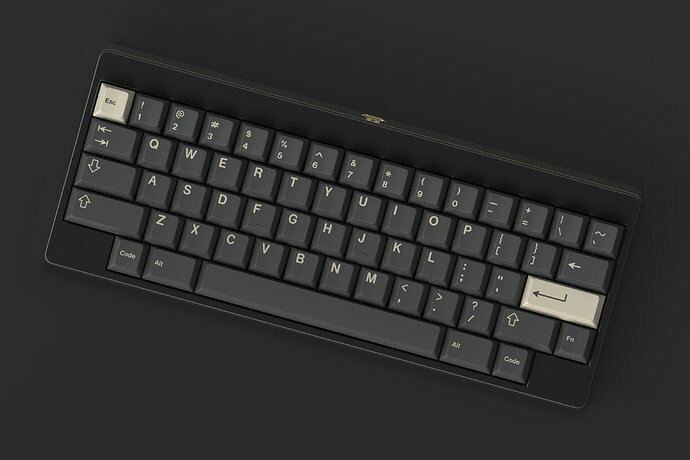 As for a name GMK NU-9 does have a nice ring to it! Hi Everyone, a quick update. I have ordered some real renders and they should hopefully arrive today. I am also finalizing a quote offer with GMK, so we can soon move into GB territory. 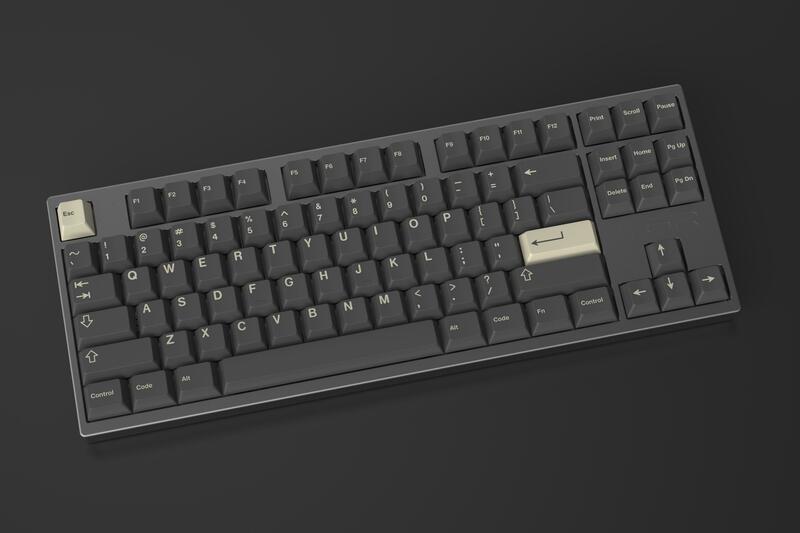 For the ISO Layout, I went with ISO-us, it makes the most sense to be in order to offer the most aesthetically pleasing + complete ISO support in as few keys as possible. 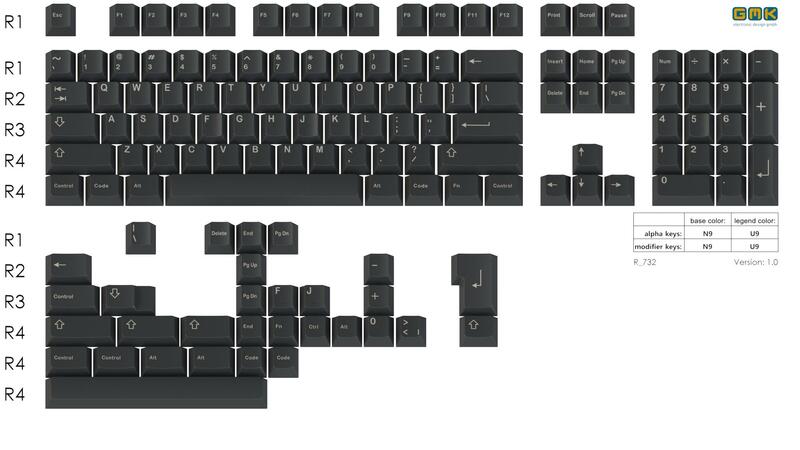 ISO US only needs 4 keys, ISO enter, short lshift, pipeslash r3 and pipe <> r4. Sorry to anyone hoping for full ISO-UK, but I want to keep costs down and borring a half layout makes no sense anyway since all legends will be wrong. I strongly prefer this over WoB. 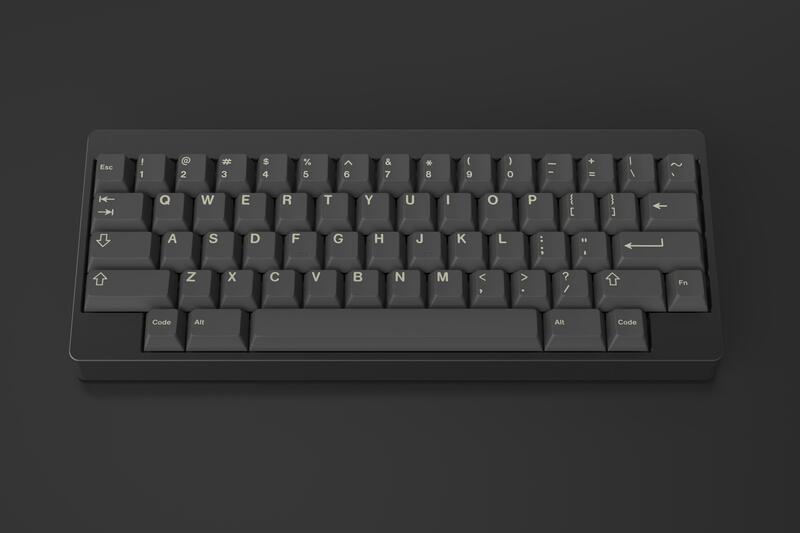 I don’t like pure black on keysets, so N9 with the off-white is super appealing to me. Hi Everyone, please see the OP for new renders! New renders look so nice! 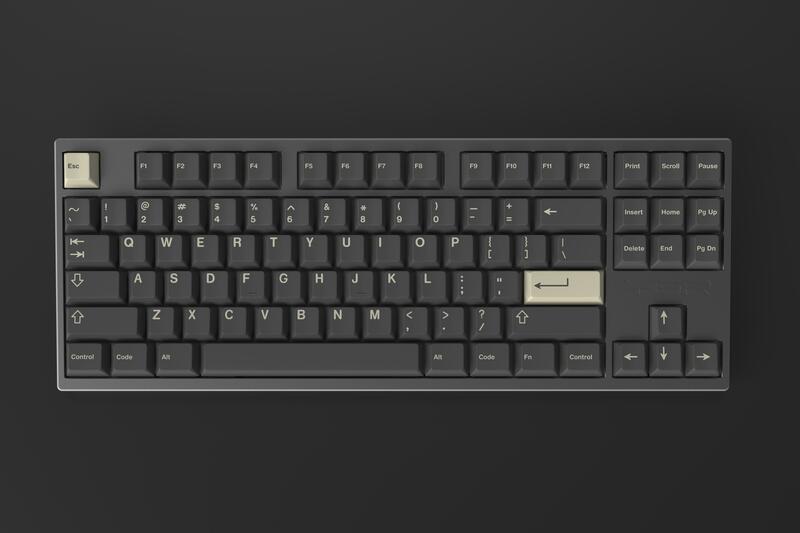 Any shot of seeing accent Esc/Enter with the colors reversed? Yup. This set is yum. Respect for disclosure around inspiration and obtaining the designer’s consent. Nice set, maybe add some novelties? Looks great! 2019, year of the mono-colorway! 109 Euro for this base kit is very reasonable and good, IMO. At MOQ 150, it’s a bit more expensive than I hoped - but nothing is final yet and I will try to get it lower. 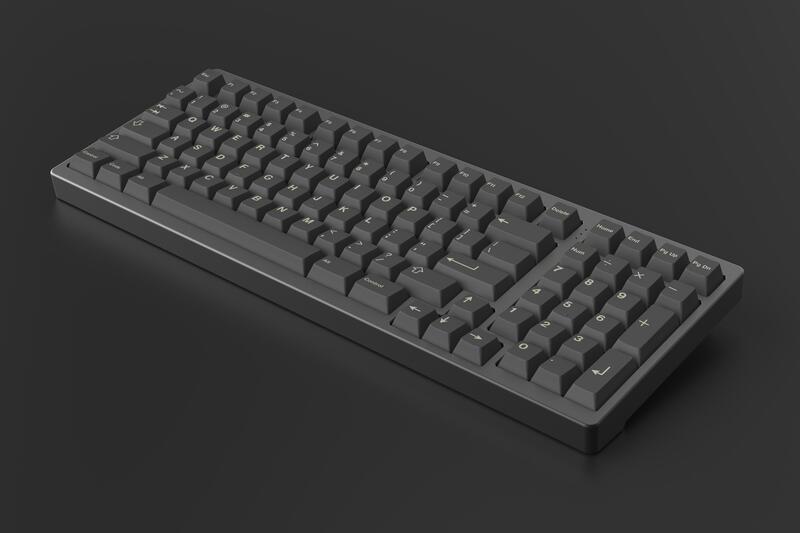 If I am being realistic, I do really believe at least MOQ 250 should be very possible, 119 euro is OK in my opinion (comparing to other GMK sets out there with similar compat). 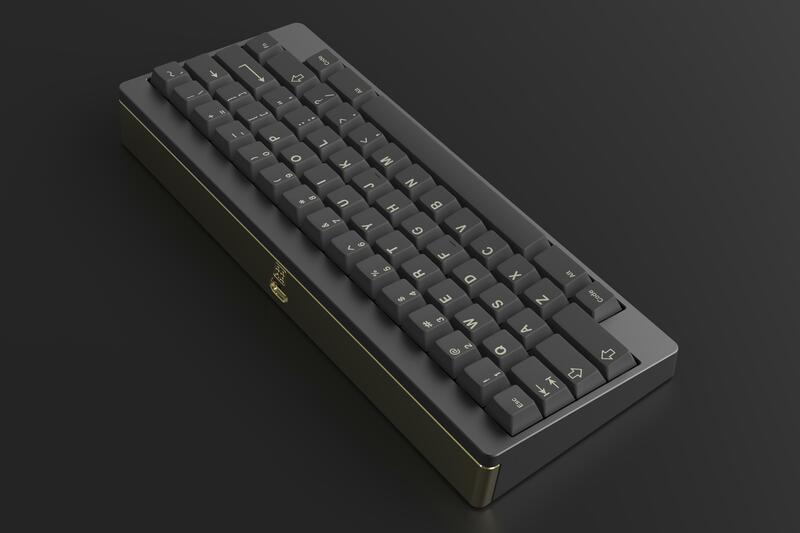 I am also in talks with Wei from KBDFans, but it’s a bit difficult due to high chinese tariffs (explains why zFrontier is always more expensive…) and some US proxies too. I will keep everyone up to date! On popular request, here are the reverse accents. Honestly, it doesn’t look too bad, and I’m not even much of an accent guy. Do we want this, on the expense of a higher price for the basekit? Give me your thoughts! Heck yes. I really like the way that the accents look. 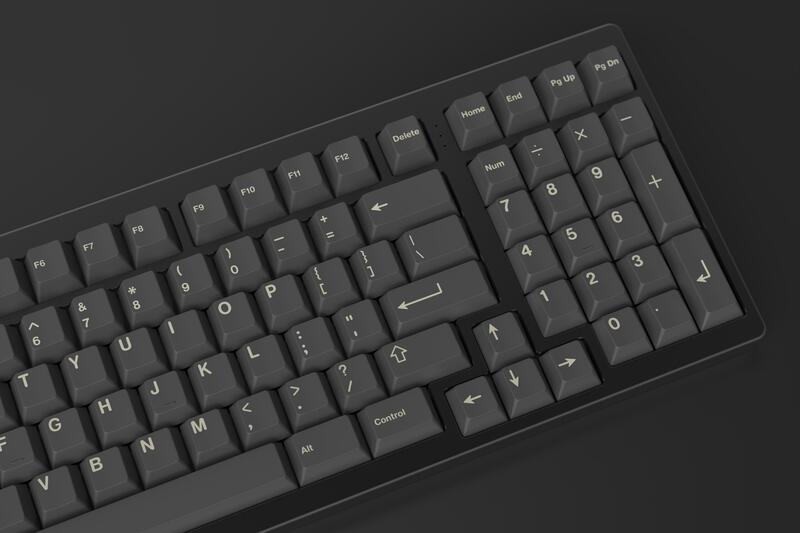 I’m excited for this set regardless, but N9 is much darker than the renders.